The Income Tax Department on Sunday launched pre-dawn searches on at least 50 locations in Delhi and Madhya Pradesh against people linked to state Chief Minister Kamal Nath on charges of alleged tax evasion, officials said. 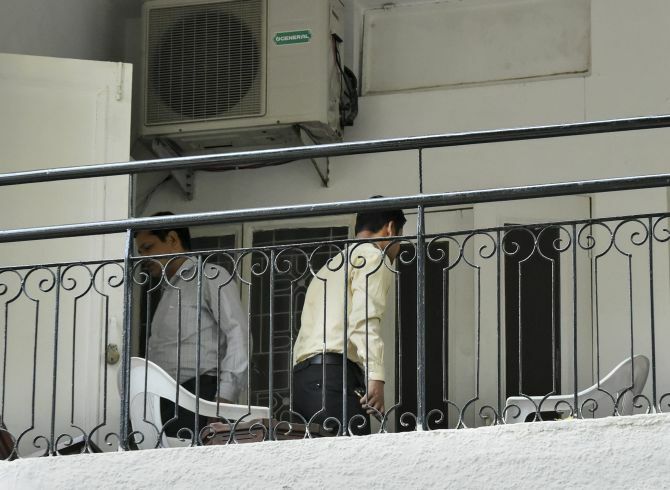 Locations in Indore, Bhopal and Delhi (Green Park) were being raided and those being searched included Nath's former Officer on Special Duty (OSD) Pravin Kakkad, former adviser Rajendra Miglani and executives linked to his brother-in-law's firm Moser Bayer and his nephew Ratul Puri's company, they said. 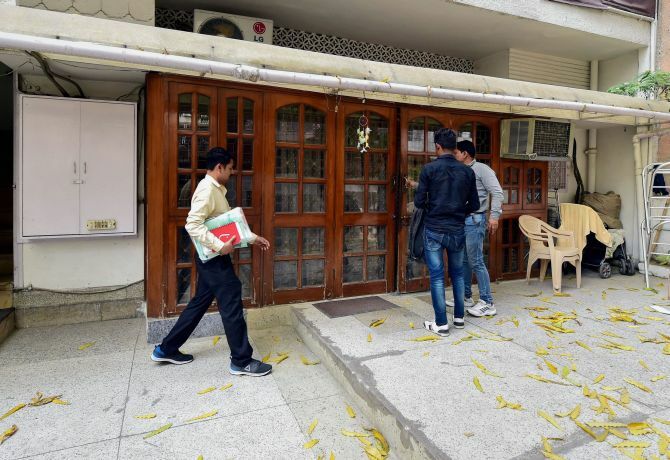 In Indore, the raids were conducted by a team of officials, who arrived from Delhi, at Kakkar's residence in Vijay Nagar area and other places associated with him, sources in the I-T department said. Searches were also conducted at Kakkar's house in Bhopal's Nadir Colony and a couple of other places in the state capital, they said. 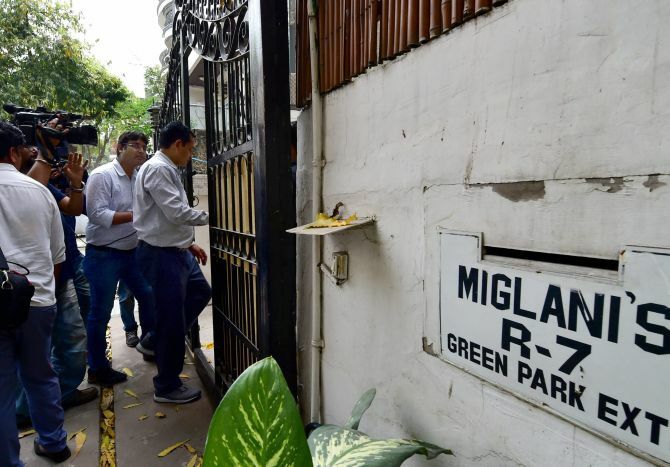 The raids are also being conducted against Kolkata- based businessman Paras Mal Lodha, the sources added. Kakkar, a former Madhya Pradesh police officer, was appointed OSD to Nath after the Congress-led government came to power in the state last year. He earlier served as OSD to former Union minister Kantilal Bhuria during the United Progressive Alliance regime. Kakkar's family is associated with a number of businesses, including hospitality. Meanwhile, in a high-level drama, Central Reserve Police Force personnel accompanying I-T officials conducting raids at the premises of Ashwin Sharma clashed with the state police in scenes, which evoked memories of the face-off between Kolkata police and Central Bureau of Investigation earlier this year. 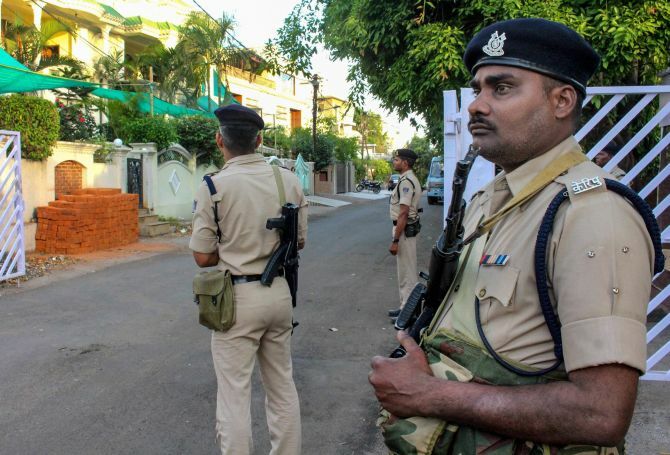 Madhya Pradesh police personnel alleged that people inside the housing complex of Sharma, an associate of Kakkar, had reached out to the Station House Officer of the area seeking assistance. "We've nothing to do with Income Tax and its ongoing raids. It is a residential complex, there are people inside who need medical assistance and they called the local SHO for help. 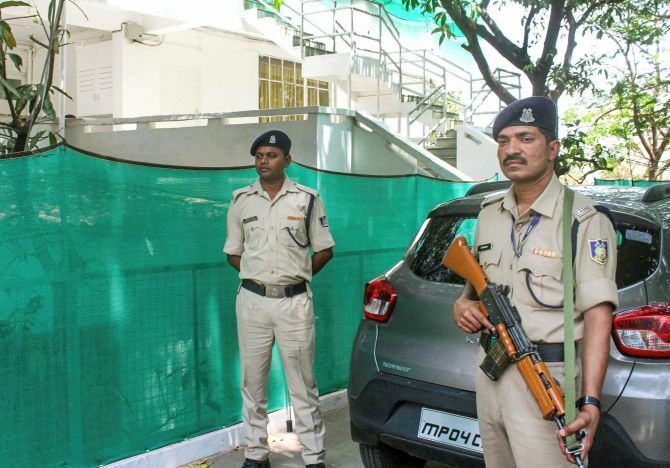 "They have closed the entire residential complex because of the raid," said Bhopal Superintendent of Police Bhupinder Singh. The CRPF, which was accompanying the I-T officials has alleged that the police was obstructing it from performing its duty. "We have not done anything to anyone. They are just trying to show off their rank and obstruct us. The Madhya Pradesh Police is not letting us work. We are from the CRPF and we only follow the orders of our seniors. "The CRPF is always there for the safety and security of the people. The investigation is still on and this is why we are not allowing people inside," CRPF official told media. Reacting to the raids, a Congress leader in MP accused the Bharatiya Janata Party-led central government of targeting opposition leaders for 'political vendetta'. MP Congress' media cell vice president Bhupendra Gupta, also a former OSD to Nath, charged, "The BJP government has been targeting opposition leaders across the country due to political enmity. "Due to such act of political vendetta, Andhra Pradesh Chief Minister (N Chandrababu Naidu) and DMK leader M K Stalin had to stage protest against the Centre." However, the BJP hit back, saying thieves were now having a complaint against the 'watchman'. "Black money worth crores was recovered during the Income Tax department's raid at the house of private secretary of Madhya Pradesh Chief Minister Kamal Nath. This has made one thing clear that those who are thieves have a complaint against the watchman," BJP's national general secretary Kailash Vijayvargiya said.